In our last post we discussed the ability of mobile technology to aid development and empower local populations, but this depends on innovative energy solutions – like solar power for example. So now here at Island Spirit we want to look at how such sustainable energy projects can facilitate development in some of the world’s most isolated societies. 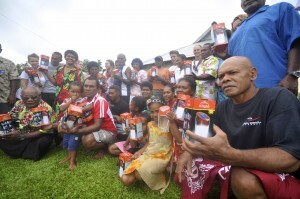 Waibulu Village show off their newly donated lanterns from Belmont High School via Island Spirit. 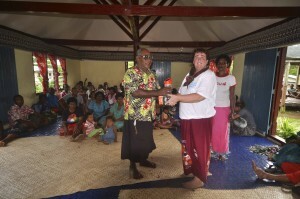 The Chief of the Village receives the first lantern from the Head of Maths at Belmont High School. In the Pacific Islands, only 30 per cent of the population has access to electricity, and the main problem is affordability which is where sustainable sources such as solar, hydro, and wind could play a part if handled correctly. Robert Guild, Director of Transport, Energy and Natural Resources at the Asian Development Bank (ADB) Pacific department said: “Reliance on imported fuels for power generation hinders development in the Pacific where electricity prices are among the highest in the world and on average”. D-Lights on their daily charge routine in Vidawa village, Taveuni. Existing actors in the region ranging from NGOs, travel companies, and members of the international community must play a part in facilitating change for the communities of the islands that would greatly benefit from more innovative approaches to the problem. A great example of collaboration is a project in a Taveuni primary school that has created savings of over $100 per month through the installation of a solar system, and has allowed the school to put on new evening classes for students and parents. Fiji already has significant hydro power projects but this alone is not enough to meet the needs of the people as a large proportion of Fijian power relies on foreign fossil fuel imports which are susceptible to price fluctuations. 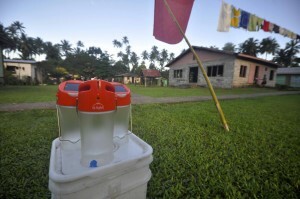 Fijians are reliant on kerosene for power, but with solar alternatives long term price stability can be reached as after the initial outlay solar power is reasonably cheap to maintain and can be used in a flexible number of ways for things like lighting and charging mobile phones. Solar is also safer and cleaner compared to the existing methods. According Sunny Money and Solar Aid, the percentage of household income spent on energy in a developing nation is significantly higher than here in the UK for example. In Kenya, around 15 per cent of the household budget is spent on light; in the UK this is a mere one per cent. This figure alone, demonstrates the need for more sustainable energy projects in fragile states to find more efficient ways of providing power to the people, which in turn has the capability to help boost the knowledge economy of that community through improved access to technology. 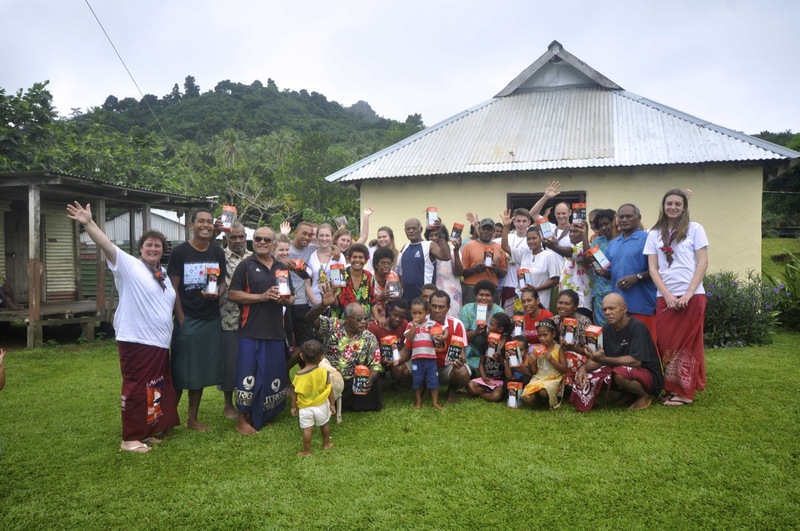 D-Lights were donated to Waibulu Village by Belmont High School, Australia during their June 2013 Eco Tour with Island Spirit. Children went to collect the lanterns one by one as they were handed out in the village community hall. 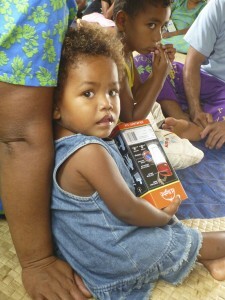 Here at Island Spirit we are disseminating D-Lights, to help Taveuni become kerosene free. D.light distribute solar products to communities in the developing world to empower local populations with an aim to reach 100 million people by 2020 in over 40 countries.